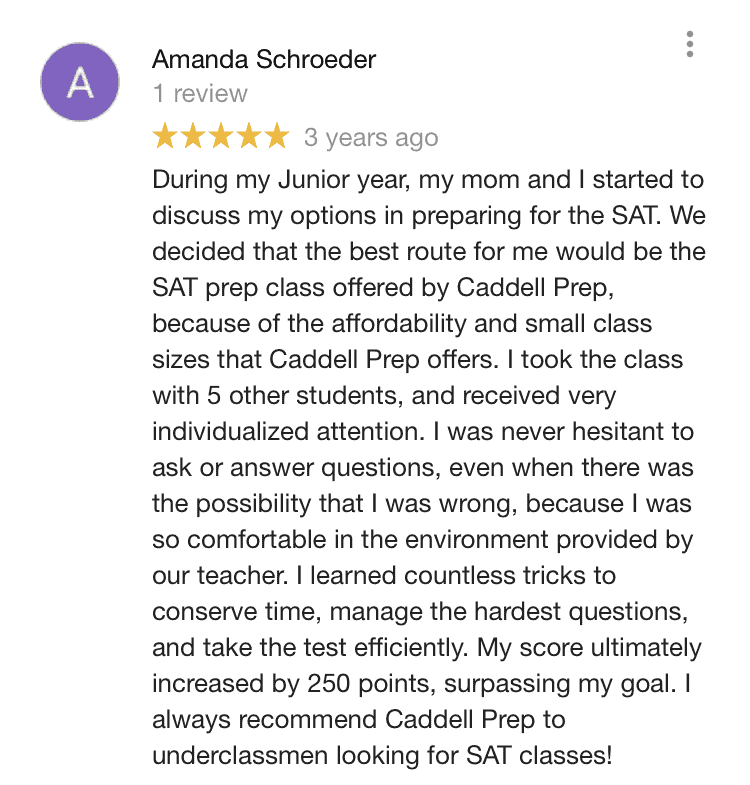 Want to Improve Your SAT Score? Perfect for last-minute review and to learn some tricks. Recommended. Cover all of the fundamentals in the class and brush up on weak points with tutoring. We are more than happy to answer any questions you may have and help you decide which option is best for you. 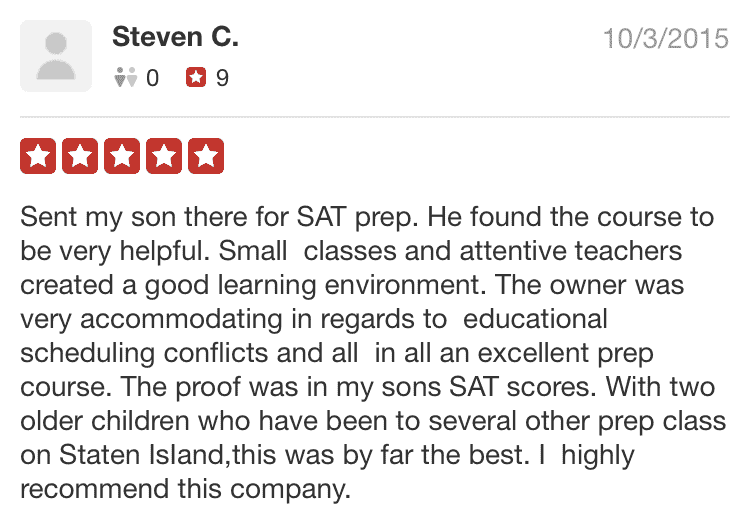 The SAT can be intimidating for parents and students; we’re here to help. The current version of the SAT is scored out of 1600 points. The English portion of the test is made up of a Reading test and a Writing and Language test. Each of the two sections is worth a maximum of 400 points. The math portion of the SAT is made up of two math sections: one that doesn’t permit the use of a calculator and one that does. The raw scores of both sections are combined and then scaled according to a table to determine the score for the math portion of the test. For many students, scoring higher will be the result of familiarity with the test and recognizing how to approach questions. There are many different math questions, but the question types do repeat. The more exposure students get to practice questions, the more likely they will be to immediately recognize the question-type and how to answer it. Here are our top 5 tips for preparing for the SAT. On the Writing and Language section of the test, there are of course an almost unlimited number of texts that the student may encounter. However, the rules that are tested on the test are predictable. Reviewing the common rules that are tested, and how to improve sentences will greatly help a student improve his or her SAT score. In the end, it is possible to get a perfect score (1600) on the SAT. Depending on the test and the specific scoring for that test, it is possible to get a perfect score without answering every single questions correctly. Sometimes getting one or more wrong in each section will still result in 1600. While getting a high as score as possible will help when applying to schools, it’s important to know what SAT score schools require. When considering a college, students should so some research. Most college websites include the average SAT score of their most recently accepted class of students. Here is a list of a select schools and the average SAT score of their 2017 freshmen class. 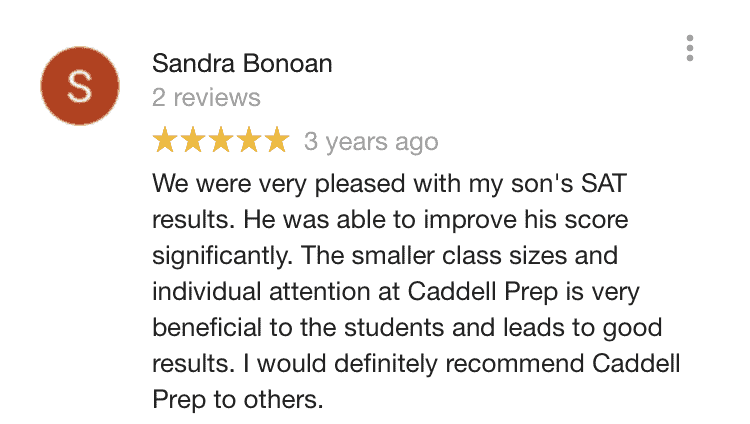 We always recommend students to start by taking a practice SAT. 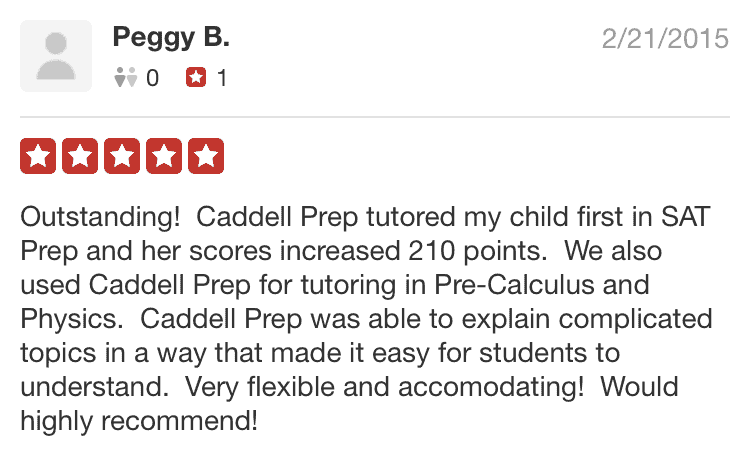 Whether a student will come to our office for tutoring, join a class, or go through our self-paced course, we recommend he takes a diagnostic test. The test serves two purposes. First, it gets the student familiar with the SAT. Having to sit for the test under timing conditions, introduces the student to the constraints of the test and the presentation of questions on the test. Secondly, it provides the student with a baseline score and strengths and weaknesses. If a student has a very limited number of time, knowing strengths and weaknesses early will help a student prioritize his time. If a student has sufficient time to study before the real SAT, the student can got through the lessons as normal. After finishing a specific number of lessons and practice problems, we would recommend that the student is tested again to check progress. There is an optional essay on the SAT. 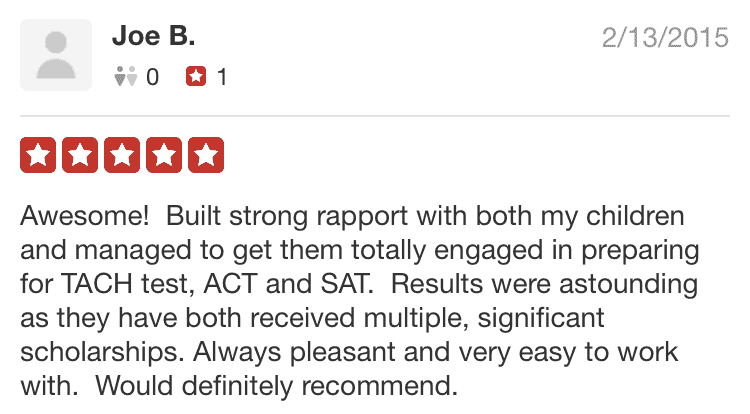 Whether you answer the essay or not, the essay has no impact on your SAT score. 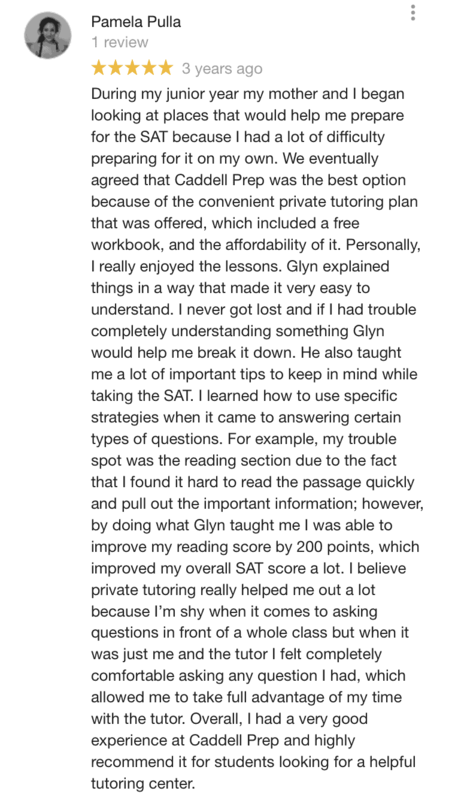 In fact, most colleges do not require students to complete the essay on the SAT, so we don’t cover it in our online SAT course or during our in-person SAT class.